Who doesn’t love the circus? If you are at all like most people, the circus is one of the most enjoyable places you can go to, and it has something in it for people of all ages. The carnival is something entirely different of course, but its similar, almost-universal appeal makes a comparison more than warranted. And that is exactly what we provide in this comparison article! A circus is defined as a group of traveling performers that is comprised of a variety of specialized performers that include acrobats, trapeze artists, musicians, tightrope walkers, and jugglers, among others. Trained animals and clowns are also often featured. All of these acts typically perform to music and are introduced by a master of ceremonies known as a "ringmaster". Circuses are traditionally held in a “ring”, or a circular or oval arena, with tiered seats around it. Traveling circuses are typically housed in a large tent commonly referred to as a "big top". A carnival on the other hand is a local event that is held during a specific festive season. 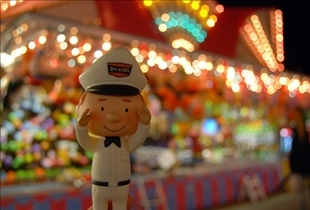 Carnivals are often held during harvest season for example, or they may revolve around religious events. 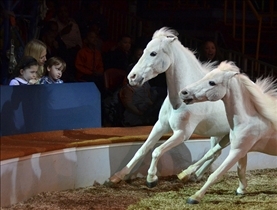 The origins of the modern day circus can be traced to Ancient Rome, where the early circuses were held in building intended for horse and chariot races. Even then, trained animals, jugglers and acrobats were already regular parts of the acts. The word "circus" itself is Greek in origin, and it means "circle" or "ring". As for carnivals, some of the earliest examples were recorded in Italy in the middle ages, where the carnival regularly held in Venice was one of the most renowned. The tradition then spread out from Italy to the neighboring countries such as Spain, Portugal, and France, and from there to the rest of Europe and to the world. By most accounts, the modern-day circus in its present form started out as a performing arts movement that began in the 1970s in several countries simultaneously. Among these countries were Australia, Canada, France, the United States, and the United Kingdom. Today's circus brings together the best elements of the traditional circus and theater in order to present a definite storyline or theme. The term carnival is often used interchangeably with Mardi Gras, which itself is a carnival of sorts that was first held in the Gulf Coast part of the United States. The tradition has since made its way to other states and other countries, and is characterized by costumes, street parades and masquerade balls. Which one is more fun for kids? Incompetent. Carnival has more than one meaning. You've chosen the least applicable for this comparison. Carnivals generally have no large arena. Otherwise, they're very similar to circuses.